Jun 30 EMHF - Might technological advance lead to greater international co-operation in racing? The Asian Racing Conference (ARC) was first staged 58 years ago and attracted less than 70 delegates. These days, it is held biennially, and the 37th ARC returned to Seoul this year – the third time it has been Korean-hosted. 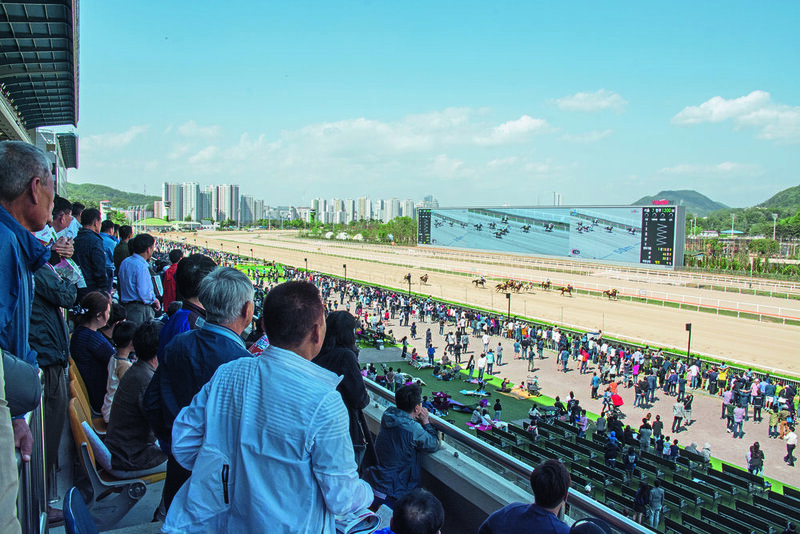 Prior to the conference, delegates had the chance to attend Korean Derby Day at Seoul Racecourse Park. Prize money for the 11-race card averaged over €100,000 per race, with the Derby itself – won by 2/1 favourite Ecton Blade, a son of imported Kentucky-bred stallion Ecton Park – worth €640,000. The grandstands at Seoul are enormous structures, stretching far along the finishing straight and reminiscent of those at Tokyo racecourse. For many of the 80,000 racegoers who can be accommodated, there is the option of an individually numbered seat, not with any vantage point affording a view of the track, but rather deep in the bowels of one or another of five identical and cavernous floors. Each of these floors was packed this Derby Day with studious race fans, mostly deeply absorbed in their form guides, checking betting monitors, and scribbling notes, doubtless plotting betting combinations of fiendish complexity. The bias towards exotic bets is extreme in Korea, with just one percent of the handle directed at win bets. By the time of each race, the crowds migrated to the viewing areas of the stands, looking out at the biggest big-screen in the racing world – which, despite its 150m width, is every bit as picture-crisp as one would expect from Korean technology. Racing is an immensely popular spectator sport in the country. Annual attendances of 15 million from a population of just 50 million put European countries to shame. (For example, in Britain, where racing is the second most popular spectator sport, the 65 million population only make 6 million racecourse visits, and even on the island of Ireland, the ratio is not as impressive as in Korea: 1.3 million turnstile clicks from a population of 6.6 million). One might imagine that this results from a monopoly that racing enjoys when it comes to the gambling options available to Korean citizens. To some extent, this is true: there is but one casino in the whole of the country which Koreans may enter, and there is no domestic online betting offering. But betting – albeit to limited stakes – is allowed on a variety of other sports, a curious selection, including cycling and ssirum (Korea’s answer to sumo wrestling). And illegal online betting is widespread. So the numbers can be seen as a great advertisement for the sport. And the crowds were fully engaged in the day’s activities: noisy and every bit as animated as one would find at Ascot or Flemington. But there is one striking feature of the scene at Seoul racecourse that sets it apart from virtually every other, outside the Middle East. It slowly dawns on one that these tens of thousands of committed racegoers are enjoying their long day’s racing…..with not an alcoholic outlet in sight! Proof that racing can thrive without an alcoholic crutch: further evidence of just how our sport, in all its diversity around the world, maintains its ability to surprise us and challenge our stereotypes. Those whose business is horseracing descended on Korea from Asia, Europe, and beyond. While the total of 600 or so delegates was some way short of the record numbers attracted to Hong Kong four years ago (tensions in Korea were particularly high at the time people were asked to commit to paying their USD $1,300 attendance fees, which could not have helped), to my mind, this ARC scaled new heights, in terms of the interest and relevance of the topics covered and the professionalism of the presenters. Sweeping a bright but focussed spotlight across a broad range of issues of real moment to our sport worldwide, it illuminated such things as the frightening increase in illegal betting, the (to many) puzzling speed of growth of eSports, and the growing menace of gene doping.